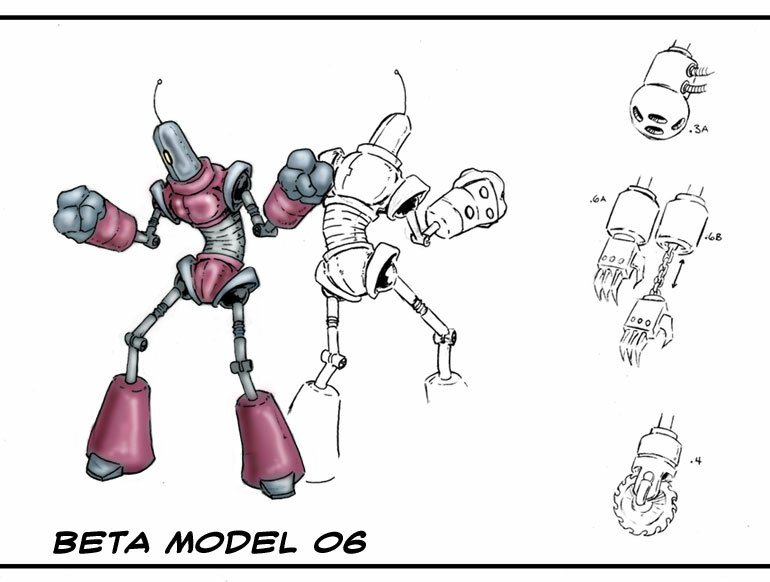 beta Model 06 or 'beta' is a test model of a proposed series of anti-personal robots designed by a 'currently' unknown duo. beta possesses a limited A.I. and an on board battle computer linked to a larger computer system. the 'beta' model also uses a variety of interchangable weapon systems. Despite the seemingly simplistic housing, the beta Model is built using an exetremly high level of advanced and alien technologies.